A press conference was held at the Tokyo office of Yoshimoto Kogyo on Tuesday February 22, 2011, to announce the program for the 3rd Okinawa International Movie Festival. First of all, the assistant hosts for the day, Slim Club, made their appearance. Slim Club is the head promoters of the Okinawa International Movie Festival, and they provided a colorful opening to the press conference, appearing in traditional Okinawa Acer dance outfit. Next was a greeting by Chairman of the Festival Executive Committee, Hiroshi Osaki, followed by the announcement of program details by the people in charge of each program. 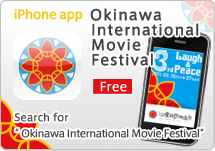 First of all, the “Featured Program”; the theme of Okinawa International Movie Festival has been “Laugh & Peace” since its launch. This year, in the Laugh and Peace categories respectively, 15 feature films were selected for screening from around the world, along with 3 films directed by Yoshimoto Kogyo entertainers, as well as another 7 films created in cooperation between Yoshimoto Kogyo and variety program staff at TV stations, making it a total of 25 new feature films. There are 12 films in the Laugh Category, including “Mask of Moonlight” directed by Itsuji Itao, “Omlette Rice” directed by Yuichi Kimura, and “Miss KUROSAWA FILM II”. There are13 films in the Peace Category, including “With the dog tag and the croquette” by director Seiki Nagahara and “TSUGARU”. In addition, “Special Screenings” are planned to pay respect to comedians that have made long term contributions to film, and to screen comedy films from both Japan and abroad that are particularly nostalgic and visionary. These screenings will include a feature of the work of Kei Tani and Makoto Fujita who sadly passed away last year. In addition, this year we have established a new “Local Origination Project”, under which 7 “Films from local areas” will be screened, which have been crafted from scratch by people in various regions around Japan who have come together to plan, write and film these movies. Also, under the “JIMOT CM COMPETITION” which asks for the submission of commercials which support local regions with the theme of “love for your hometown”, 470,000 yen will be awarded through the course of the festival to Grand Prix winners, and winning commercials will be aired on terrestrial broadcast. Until now, the Okinawa International Movie Festival had focused on a global viewpoint, but this year it has been announced that screenings will involve both global and local perspectives. Following the press conference there was an appearance of guest directors and actors from some of the works to be screened at the festival. Seiki Nagahara, who directed “With the dog tag and the croquette”, the movie version of his autobiography, commented that “This is a depiction of my younger days living in downtown Osaka. It’s a movie about what it was like living in Japan, and also about love and parents. The response has been quite good”. Director Itsuji Itao also briefly introduced his second film “Mask of Moonlight”, after his first feature “Itsuji Itao’s King of the Escape”, saying “it’s a story of comedians after their return from the war”. Yuichi Kimura, making his third appearance in a row at the festival, spoke of his memories of shooting his latest film “Omlette Rice”, saying that “it’s the story of a paranoid man who goes shopping for the ingredients to make rice omelet. It has a cast of more than 100 people, featuring Akashiya Sanma, Hamada (of Downtown), and Itao. Sanma plays an unsuccessful cartoonist, and more than half of his lines were ad lib. He also easily agreed to retakes, and it was truly a happy time for me”. Host Ayako Kisa asked Hiroshi Shinagawa about “MANZAI GANG” – the film he directed and the follow up to his major hit “Drop” - “Do you think this is going to be another hit?”, to which he replied with modest expectation that “It would be great if it was a hit, but I don’t know about that… (laughs). It would be great if it was a hit”. Erika Sunakawa, a Miyakojima resident who stars in the local Miyakojima City, Okinawa Prefecture production of “A Tiny Little Seed 〜“Matida”-Island in the Sun Chorus〜,” spoke of a particularly impressive scene, saying that “we had a chorus of the 336 residents from my home town Miyakojima, and as these 336 people sang together it was so impressive that it made be shiver”. Haruka Kinami, who starred in her local Osaka production “Thank You Osaka”, commented that “it was a fun shoot, and I really felt the warmth of the people in Osaka”. Iwao of Football Hour who stars in local Tokamachi, Niigata Prefecture production “White rabbit in the snow” spoke about how he was moved by his interactions with the local people, saying “locals cooperated with us, working as extras and staff on the film. It made me feel like I wanted to move to Tokamachi”. Omura of Total Tenboss, who appeared in “Tunnel Rendezvous”, a local production of Mikkabi Town in Shizuoka commented that “the only dialogue we had was ‘I’m sorry’ and ‘Don’t worry’ (laughs)”, and Fujita shared a private story, saying that “I put my whole body into it for about 2 minutes, hoping to convey the warm atmosphere of the plain regions of Shizuoka Prefecture.”. Omura also made an appeal saying that “Our single lines were all puffed up with improvisation, so we would like you to pay attention to all of that hard work”. The question and answer session after the press conference focused on the popular Slim Club. In response to a reporter’s question of “Is there anyone that would like to see Slim Club in a movie?”, Kimura immediately replied that “I want the rights to make a movie! I would like to get ABC (Asahi Broadcasting) to pay for a movie about their path to M-1”. Shinagawa seemed to flinch in response, saying that “Slim Club is really funny, but from a commercial perspective it may be problematic (laughs)”. The Okinawa International Movie Festival will be held from March 18 (Friday) to March 27 (Sunday) at two venues, firstly in the City of Ginowan, Okinawa Prefecture and at the Okinawa Convention Center and its surrounds. The secondary venue will be Naha City, and the Sakurazaka Theatre and surrounding International Street and local elementary schools throughout ChatanTown. In addition to our “Featured Program”, “Special Screenings” and “Local Origination Project”, a variety of other events are planned, including the “Okinawa Contents Bazaar” which is a new business scheme developed for the purpose of domestic and overseas cooperation in TV program production, as well as various ceremonies, red carpets and beach stage events etc. 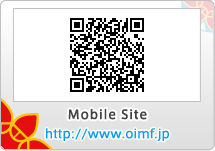 We hope you will look forward to the Okinawa International Movie Festival as it continues to evolve!